In the past few weeks, Swimming in South Africa has made the news for all the wrong reasons. There was of course the green pool at the national championships and the ongoing saga between Gerhard Zandberg and the confused souls at Swimming SA. But just when you start to get down about South Africa’s most successful Olympic sport, someone delivers on the World Stage again. That stage has been the FINA World Cup and the stars have been Myles Brown, golden-boy Chad le Clos and veteran Roland Schoeman. South Africa have a glittering history in the FINA World Cup with Ryk Neethling winning the overall title in 2005 & 2006, Cameron van der Burgh following on in 2008 & 2009, Chad le Clos winning in 2011 and Darian Townsend and Roland Schoeman both finishing in the runners-up position before. And once again it is the World Cup that has ignited Swimming fans spirits as the South Africans set the pool on fire with a great weekend of racing in Moscow. 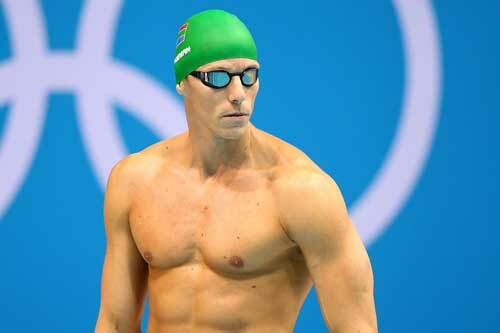 Roland Schoeman, the Olympic veteran, rolled back the years by winning the 50m Breaststroke as well as the 50m Butterfly on day 1 and consolidated this with a silver medal in the 50m Freestyle. That is 6 Gold Medals in 3 meets this season for the legendary South African and a sign to many that age doesn’t always slow you down. Schoeman was also desperately unlucky to miss out on the Top 3 overall performances at the meet as he finished in fourth place, just missing the bonus 12 points. Myles Brown has been a revelation in the current season. In Eindhoven he picked up two silver medals in the 400m and 1500m freestyle. He followed that up in Berlin with a single bronze medal before making his biggest splash now in Moscow. The 20-year-old won the 400m & 1500m Freestyle with ease and then picked up a bronze medal in the 200m. His 3 medals helped the South African trio pick up 10 medals in Moscow and are a clear indication that Myles just keeps improving! And of course the “Golden Boy” Chad le Clos was not to be outshone as the darling of South African sport once again outshone all others. He won gold in the 100m & 200m Butterfly and added a third gold in the 200m Medley. Not content with all that bling, he added a silver, narrowly missing out to compatriot Roland Schoeman in the 50m Butterfly. And of course to top it all off, Chad’s 980 points in the men’s 200m Butterfly was also the top performance of the meet, netting chat his second World Cup win of the season. Fantastically the boys are doing us proud on the points table as well as the money table with Chad le Clos first on the Men’s Money list, Roland Schoeman fourth and Myles Brown in 9th place. 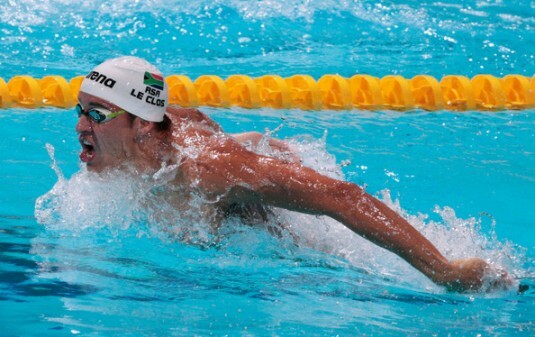 As it stands in the points table, Chad le Clos has a lead over second placed Morozov of Russia of 56 points. Roland Schoeman lies in fifth and Myles Brown in 8th. An incredible performance by our three incredible swimmers. Let Jabu know what you think about the golden trio on twitter, facebook or in the comments below.